I'm kind of sick of making excuses for Iowa. I chalked up last year's bad finish to some bad luck mixed in with a sudden lapse in defensive effort. Two years ago the reason the Hawkeyes missed the NCAA Tournament was not because of their play, but because of their schedule. After last night's second half collapse against Texas, I don't know why, but that's it. I'm through excusing Fran McCaffrey's team. On paper, there's no reason for Iowa to lose by double digits to a solid—but not spectacular—Texas team. Pomeroy had this one pegged for a narrow two-point Texas victory. Instead Iowa was outscored 47-27 in the second half, and lost by 14. The blue portion is the number of shots Iowa attempted at the rim. 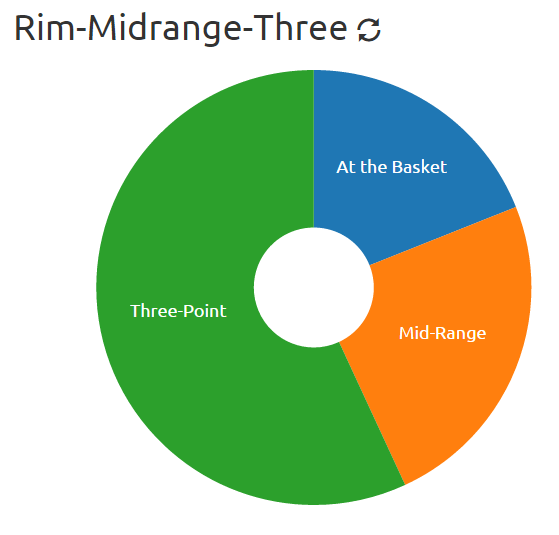 You'll notice the area is small enough that the graphing software felt there was inadequate real estate to fit "at the basket" within the small slice afforded by Iowa's misguided offensive attack. There's no reason why two-thirds of Iowa's shots need to be mid-range jumpers. And I'm not going to come up with any excuses here. Indiana will feature one of the better backcourts in the Big Ten this season, with Yogi Ferrell and James Blackomon figuring to account for most of the shots. But even the more prominent members of the supporting cast will be on a steady diet of three-pointers. Where the team is weak, however, is on the interior. 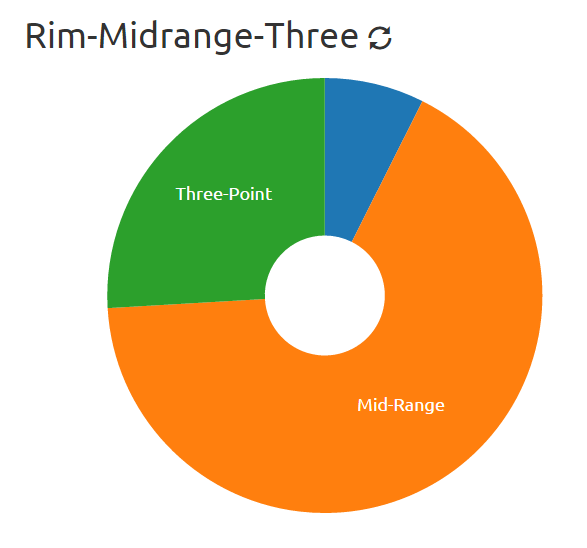 Hanner Mosquera-Perea is still very much a work in progress offensively, leaving Troy Williams as the only legitimate threat to do significant damage inside the arc. We'll see if he's up for it, but I expect the Hoosiers to live and die with the three ball. Expect fewer turnovers and rebounds as well this season.